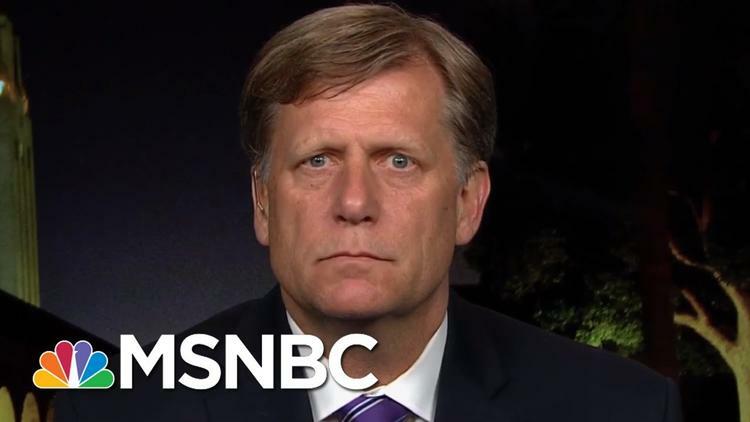 Ann Arbor (Informed Comment) – White House spokesperson Sarah Sanders acknowledged that Russian President Vladimir Putin asked Donald Trump to let Russian security forces interrogate former US ambassador in Moscow Mike McFaul on US soil, and that Trump did not dismiss the request out of hand. He would, Sanders said, take it under consideration and consult his cabinet about it. The bizarre episode is causing outrage in Washington, D.C., where there are a lot of officials who have served overseas and who would be in trouble if their enemies over there felt as though the White House no longer had their back. Clearly, simply making the request and publicizing it is Putin’s way of pressuring his critics in the US, like Mike McFaul and Bill Browder. It is like when goons from organized crime visit you and leave behind a bullet on your coffee table. The episode is also to my knowledge unprecedented. I tried to think of historical analogies. What if Adolf Hitler had come to President Franklin Delano Roosevelt in 1934 with a request for security personnel of the Geheime Staatspolizei sent over to the DC Germany embassy to interrogate Edgar Mowrer, the Chicago Daily News reporter who was kicked out of Germany in 1933 for reporting critically on the National Socialists. Would FDR have lifted his cigarette holder high and taken a slow toke, and said, “Let me think about it, Wolfie”? I am not saying Putin is Hitler, but remember in 1934 the US and Germany were not at war and he was just another European leader who had not yet committed his major monstrosities. What if in 1897, Spanish prime minister Marcelo de Azcárraga had asked President William McKinley to let Spanish officials at the embassy in Washington, D.C., interrogate Joseph A. Pulitzer over his (admittedly scurrilous) coverage of Spain in Cuba? I mean, McKinley was no paragon but even he wouldn’t have caved to the Spanish empire that way. Or what if, during the Revolutionary War, in 1779, the British high command had reached out to the distinguished American officer and revolutionary, Benedict Arnold, with an offer of a handsome amount of money and a high position in the British officer corps if he would turn over the US base at West Point to London. Why, Arnold would have . . . oh, wait.